ELVIS - *COUNTER TOP DISPLAY*. (Two sets available!) 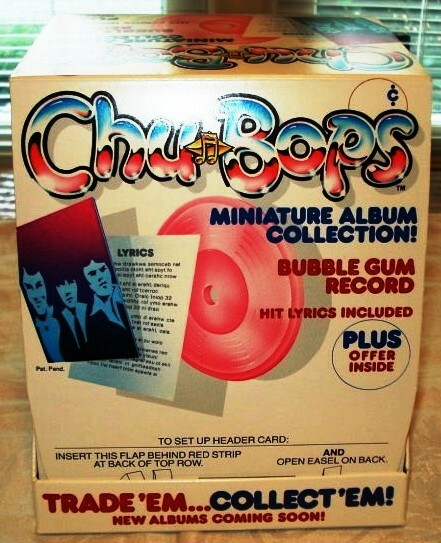 Contains a complete set of 64 Chu-Bop *GUMS* (Numbered 41 - 48). All the gums are in their original factory sealed shrink wrap with the gum inside. None of the 64 Gums have any signs of bleed-through or rips. The *BOX* is in excellent condition and comes with ALL THE PARTS -- *Center *Divider* and *Gum Holder*. There is No discoloration or fading on the Box Display. REMEMBER -- Orders OVER $40.00 includes FREE Shipping and Tracking. ELVIS - *INTERNATIONAL GOLD ALBUM EDITION*. 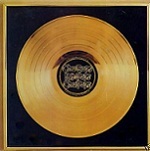 This item is a fully Populated Elvis International Gold Record Album Series, (Numbered 41 - 48) with 16 Chu-Bops inside. 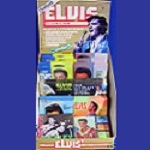 This *FOLD OPEN ALBUM* is populated with 8 MINT Condition Elvis Bops on one side of the *ALBUM*, and 8 OPENED Bops on the other side, that depicts a picture of Elvis. Eight of the *MINT CONDITION* Gums are factory sealed, and eight OPEN Elvis Photo Bops are pristine as well. The *ALBUM FOLD OPEN COVER* (Depicted) is also in MINT CONDITION and shows no cosmetic ware or *Over Handling*. © 2006 ELVIS PRESLEY ENTERPRISES, INC. ALL RIGHTS RESERVED.